The NZD/JPY is forming the descending triangle and is in final stage, so it may be break in either directions or stay consolidation. It is a high probability to buy at near strong support at 76.00 in short term plan to win 100 pips. 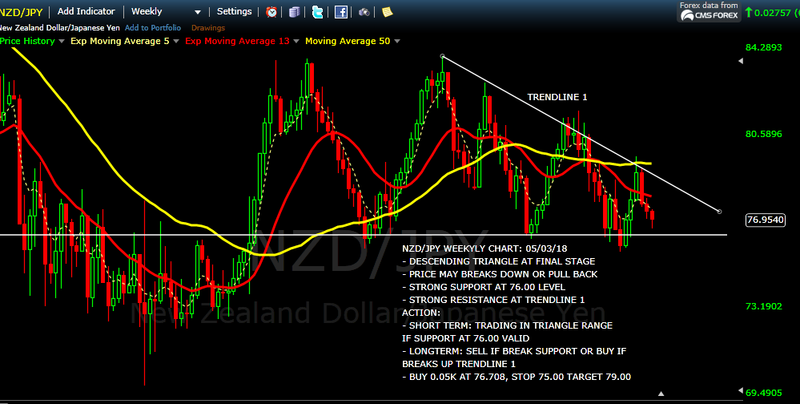 However, we should wait until the fundamental analysis of NZD/JPY next week to see if the pair has any clear indication to break up or down of the descending triangle.